No matter you try to trim your dog for the first time, or you have already get used to it, you will want to make the identity of the fluffy friend. This might be a huge challenge and make you struggle for hours or days as every people will eventually short of the ideas. In the case there is no idea can pop up in your mind, you can look for some new style on the internet. Or an easier option, you can refer the coat is mentioned below. It will help you to create an appealing appearance for your four-leg friend. All you need is a good clipper. 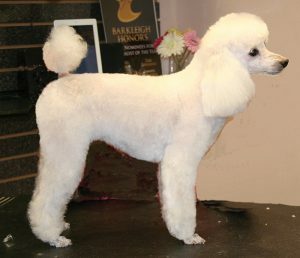 Though you might see the “puppy” in the name of this style, in fact, the dog at any age can be trim like this. The coat of your lovely dog is often cut to roughly 2 inches long. With this coat, you can stop worrying that your dog is overheating in the hot summer day. 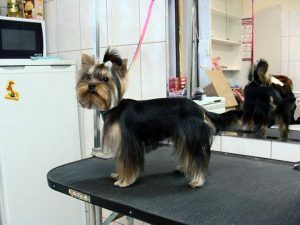 It is the favorite for many people as it does not require much of effort to maintain and keep the coat from tangles. Therefore, it is one of the favorites for the Shih Tzu owner. However, you should bear in mind that this haircut needs to shave it frequently (just about each 1 or 2 weeks). If you want to make your dog looks adorable, the teddy is not a haircut for you to look over. As still a child, you might have dreamed about having a “real” teddy bear; now it is time for you to fulfill it. This style often requires you to create a rounded shape for the face, while making it fluffy. The coat on the body is cut short for most of the time, with the round shape of the whole body. The most important thing to make it so much like a teddy bear, after the head, is the legs. The legs need to trim around with the angular of the back legs will make a lovely teddy bear for you. The haircut is named after the sheep, so, it must look like a sheep right? It is, your dog will look cute as a little lamb. Your fluffy friend will be trim short from the head to tail. This is one of the convenient choices for the dog owner. 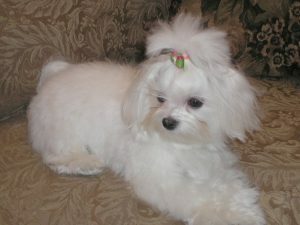 Because it does not require them to groom it so usually, just one time for every six to eight weeks. By the time, it is easy to maintain. Also, this is one of easiest coat for you to do it on your own, this is the advantages of this coat. That style is one of the characteristics of the Shih Tzu. For this one, their body will be trimmed neatly. Meanwhile, the hair on the head is gathered and then secured with a clip, tie, ribbon or anything their owner think it is interesting to use. Not only does this method make your dog look so cute, but also prevent the hair stick on the hair or the mouth. The knot on the top head will allow the hair to be cleaner, especially when your dog is eating. If you want to make your little dog be more like a little lion, this is the haircut you should try. 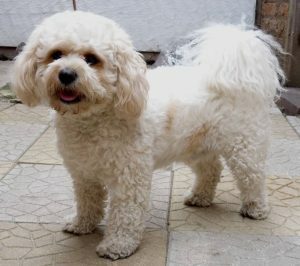 This is the favorite choice for the chow chows, Pomeranian or other small dogs. It makes them looks like little lovely wild beats. With the coat trimmed from the top head to the tail, this style will not make your dog over temperature. 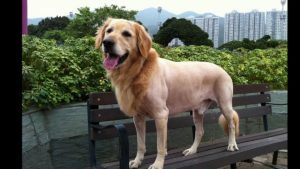 But, it still looks great as one of the long hair cut for anyone wants to try it for their dogs or love to change their dog’s appearance.